Mosques, Minarets, Mausoleums, Madrassahs, Mulberry Trees and the New Silk Road. 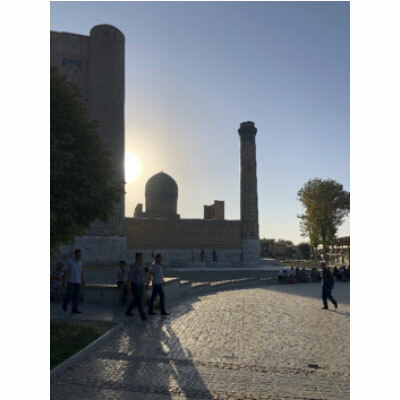 I was in Uzbekistan, in Central Asia, for a week with five friends – it is beautiful, interesting, authentic, thought provoking and safe. Gallup reports that it is one of the top five safest countries to visit in the world. Why Uzbekistan? The ancient Uzbek oasis cities of Samarkand, Khiva and Bukhara were in the middle of the trade routes on the Ancient Silk Road (130 BC to 1453 AD). East and West met here. Traders from China and the East brought silk, spices, tea, porcelain and treasures to trade with Europeans who brought horses, glass, wool, textiles, slaves, gold silver and weapons. Cultures, religions and cuisines converged and created these ancient caravan serai cities. They left their marks. The tiled monuments are breath-taking. The food is fresh and delicious. The people are welcoming. There are colorful crafts and textiles for sale – Ikat fabric, ceramics, Suzanis and carpets. A dollar goes a long way. The bill for dinner for six at some of the top restaurants was about $50. We even enjoyed the local wine, although it is difficult to get the white wine served cold. The Russians have left their mark, vodka is everywhere. You will be enchanted by the welcome you get – not many Americans have come to Uzbekistan. You won’t find Starbucks, in fact, the coffee is mostly disappointing. The accommodation is clean. Our rooms were air-conditioned. With our western stomachs and not wanting to miss a day of our trip – we brushed our teeth in bottled water, ate peeled fruit and ordered the cooked food instead of the salads (which were colorful and tempting). We had 100% good health. You will need help organizing your trip. Uzbekistan is largely untraveled by Americans. Outside of Tashkent, accommodation is in small hotels and guest houses. They are clean and comfortable. MIR travel (Seattle) organized our trip and we were pleased with their advice, planning and Mir’s ground support when we had a few minor hiccups during the trip. MIR Travel is one of National Geographic’s ‘Best Adventure Travel Companies’. Our contact is Olga Hayes at olga@mircorp.com . MIR puts groups together or you can have them organize your own trip as we did. You need to plan ahead. English speaking guides, transportation and accommodation are all limited. The best times to visit are April, May, September and October. 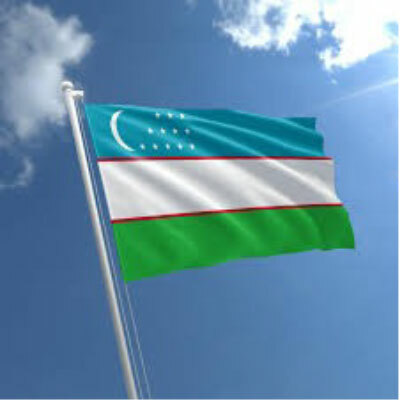 Uzbekistan became independent when the Russians left at the end of the Soviet Union in 1991. The people are mostly self-described as ‘secular’ Muslims. Many speak Uzbek and Russian and are learning English. They are proud of their silk road heritage and it is easy to visit their ancient caravan cities with epic turquoise tiled mosques, minarets and mausoleums. 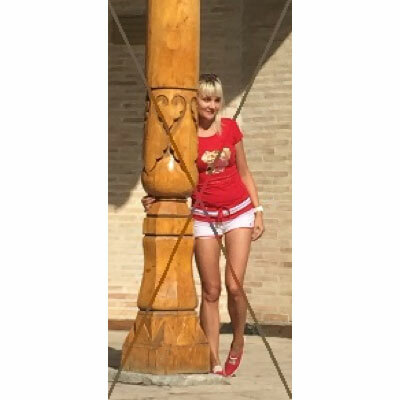 I was interested at the mixed reactions people had to the 75 years of life with the Russians as part of the U.S.S.R. Women’s lives were transformed with education and access to jobs outside the home. Healthcare improved for everyone. However, the Russian central planners set ever- increasing quotas for cotton and created an environmental disaster – the Aral Sea is toxic and almost gone. Tashkent, the capital, was decimated by an earthquake in 1966. Today it is a modern city. Take advantage of the wonderful Hyatt Hotel for a night when you arrive. You will enjoy its museums and bazaars. The history of Uzbek ceramics. Water has always been central to life in the desert and ceramic pots were essential vessels. 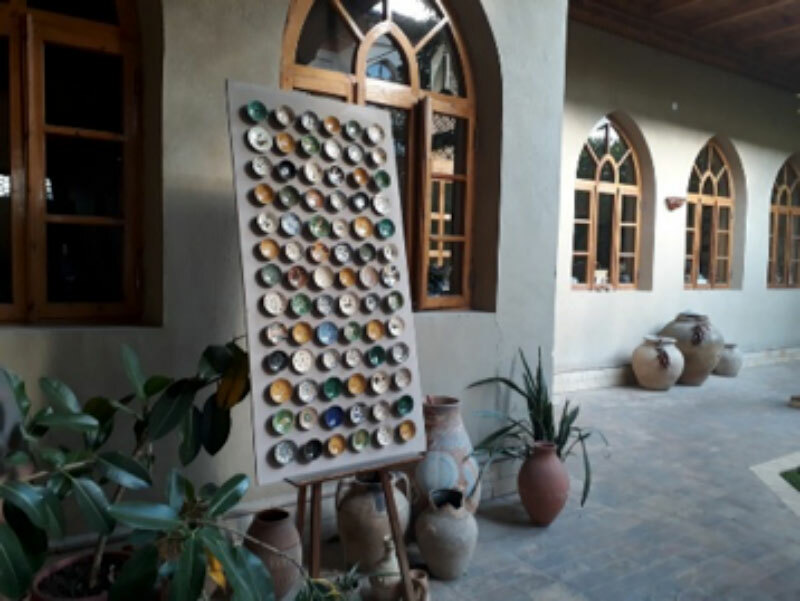 The Rakhimov family of potters has revived the ancient glazing and dying ceramic crafts. You can see the ceramics made in Uzbekistan from ancient times. MIR can arrange a visit. It is believed that Samarkand has been continuously inhabited since between the 8th and 7th centuries, BC. Alexander the Great conquered it in 329 BC and Genghis Khan ruled it in 1220 AD. Astounding. 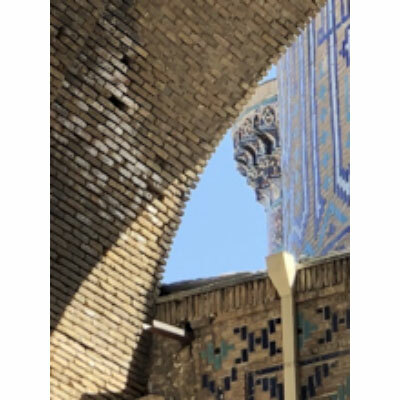 Samarkand is famous for its tiled mosques, but some have been badly renovated – which is part of the story. Is it better to restore a site to a period at the height of its power or to interpret a ruin? One site includes a mosque and madrassah which were described as a ‘small Mecca’. Modern Uzbeks sat in contemplation in several peaceful courtyards and didn’t mind sharing the serenity with us. In fact, several groups asked to have their pictures taken with us. 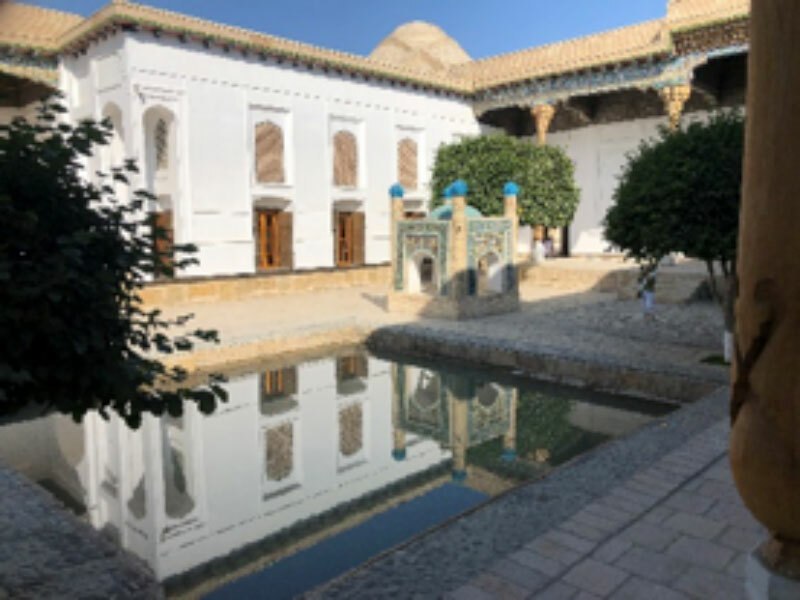 I recommend the Rabat Boutique Hotel in Samarkand with six rooms, an exotic central courtyard and friendly owners who make you feel like family friends. We were served traditional Plov (pilaf) made over a fire in the courtyard. Amazing. Bukhara was my favorite. Bukhara is as old as Samarkand, but it has preserved its treasures more successfully. The blue tiles mosques, minarets, mausoleums, pillars and madrassahs are a tribute to the ancient architects. The acoustics in the domes and mosques are pure. For you horticulturalists, that is basil planted as groundcover in the courtyard. It is everywhere – fragrant and refreshing. Stay in the Old Town in Bukhara. 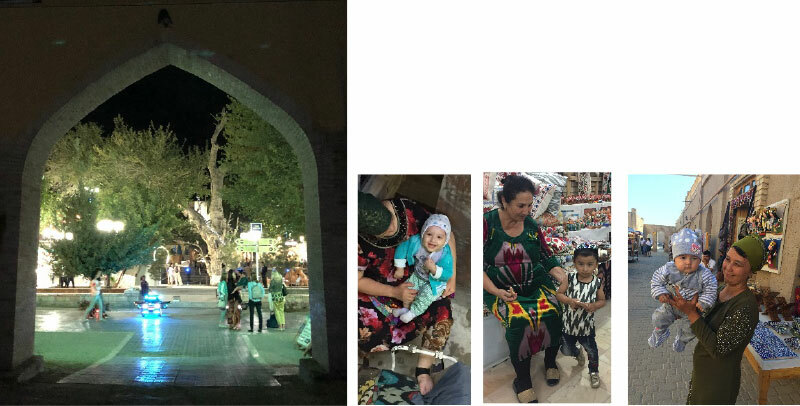 The central square and small lake are alive at night with parents with babies, young boys playing soccer, couples dining al fresco and musicians. We strolled amid ‘living antiquity’. Families live in the mazes of narrow streets and alleys off the square. Children are everywhere. It is alive. 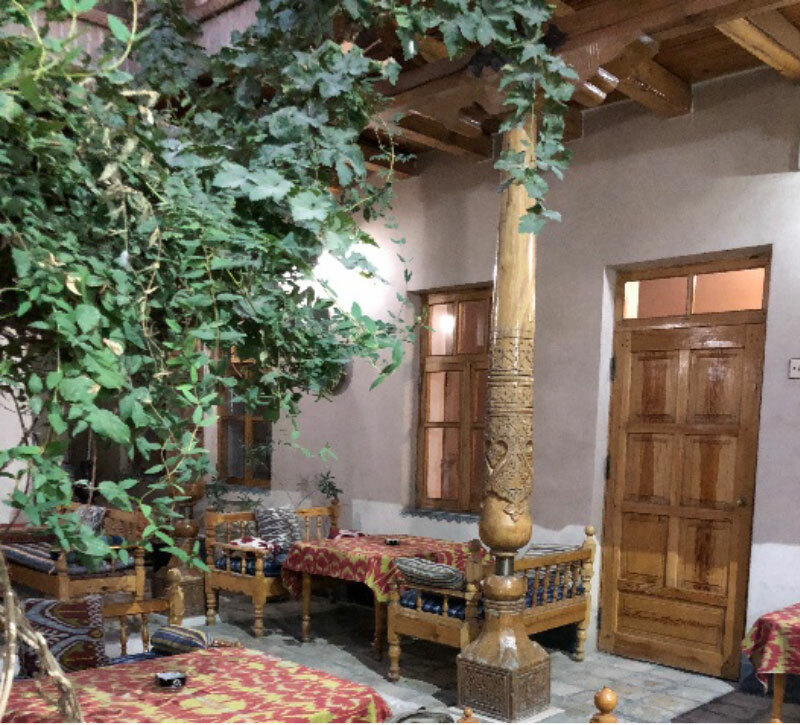 If you are feeling adventurous, try the small guest house, Salom Inn, which is owned and run by my friend, Raisa, a woman I worked with almost 20 years ago. The craft shopping is good in Bukhara – carved wood, Ikat fabric, carpets and Suzanis (hand embroidered cloth, tablecloths). Khiva has ‘mostly’ been restored and the old city is a living museum for visitors and locals. It is clean and safe. It was a fortress town on the silk road and visitors explore both inside and outside of the city walls. The tilework, the mosques, the madrassahs and the minarets are beautiful, but it does not feel quite as ‘real’ as Bukhara. The shopping is good – suzanis, carpets and fur hats. We ate all our dinners outside under the cool night sky. 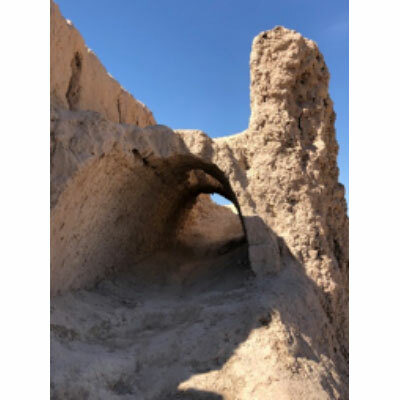 The desert citadels outside of Khiva are largely unrestored and give the visitor a sense of the challenge of living in a harsh landscape with successions of invaders. I was reminded of this Shelley poem, a cautionary tale to Ozymandias, an Egyptian Pharaoh, but Shelley could have been writing about Alexander the Great, Genghis Khan and any conquerors in the Uzbek desert. Beyond it ancient silk road cities, Uzbekistan’s greatest resources are its industrious people and natural gas which it sends to Russia, Turkey and China. It has gold and produces cotton. Uzbekistan is safe – although it is in a tough neighborhood. 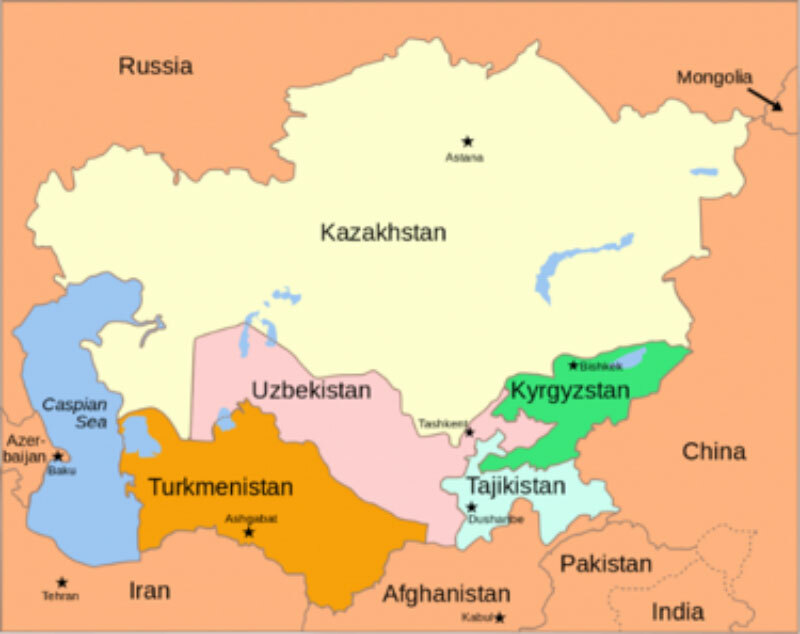 It has Afghanistan to the south, Iran not far away and it is surrounded by Kazakhstan, Kyrgyzstan, Tajikistan and Turkmenistan – all of which have struggled to ignite their economies after the fall of the Soviet Union in 1991. Despite geography, it felt as safe as Gallup suggests (fifth safest destination in the world). The authoritarian government has outlawed gun ownership and crime is low. Americans need a visa for Uzbekistan. Olga, at MIR, made it easy for us to obtain them. The ‘comfort’ food is delicious: plov (pilaf), shashlik (shish kebab), bread, lagman (noodle soup), and dumplings of all kinds. Tea and tisane are a national drink. There is a fast train being built across the long stretch of desert from Bukhara to Khiva. Use it if it is available. The roads are not good. You can ride on camels and sleep in Yurts. Surprisingly, most of our group had already done both – so we skipped it. Both looked like fun. American money is accepted by shop keepers at a good exchange rate. Bring new, unmarked bills in denominations of $10 or more. Your cell phone will work most places. Check out your international roaming and data plan before you go. What should women wear? We saw it all, but the best advice is to wear long shorts, a longish skirt or long pants and long-sleeved blouses. T-shirts are fine, but I wanted long sleeves for sun protection as much as cultural sensitivity. Travel light. You will be moving around a lot. The ancient cities are oases in a desert. You will need comfortable shoes and a brimmed hat and sunscreen. We did not stay long enough in any one spot to get laundry done. I had lightweight hiking pants which I wore every day and cleaned up at night with a fresh shirt – which I wore again the next day. Bring an extra duffel for textile purchases. I wish that I had brought children’s books with stories in English to give away. The kids friendly and outgoing and they want to practice English with visitors. 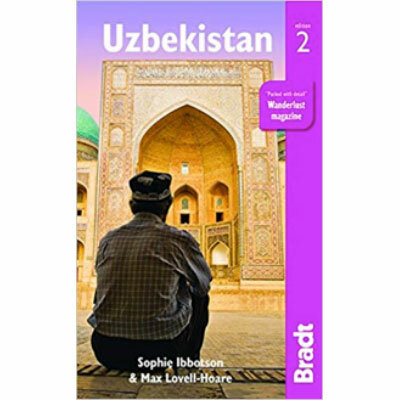 Our favorite guide book is The Bradt Travel Guide, Uzbekistan, edition2. $19.03. 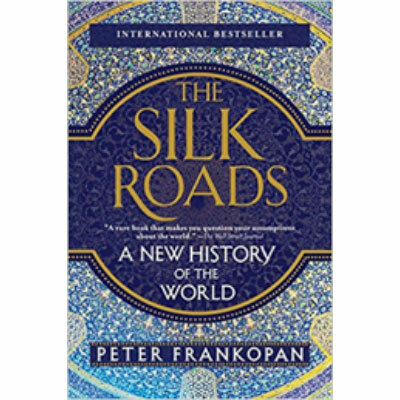 The Silk Roads: A new History of the World, by Peter Frankopan, an historian based at Oxford, is a massive tome which offers a fresh perspective on Islam and the West in the 11th and 12th centuries. The chapters on the Silk Road are particularly relevant. The Silk Roads: A new History of the World. Goodreads 4.2 Paperback, $13.59. 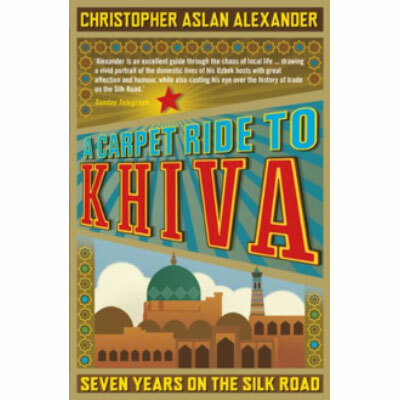 A Carpet Ride to Khiva: Seven Years on the Silk Road was written in 2010 by Christopher Alexander about the seven years he spent in Khiva before he and workers at other NGO’s were barred from Uzbekistan. Here is the description given by Amazon, “Alexander discovers a world torn between Marx and Mohammed – a place where veils and vodka, pork and polygamy freely mingle – against a backdrop of forgotten carpet designs, crumbling but magnificent Islamic architecture and scenes drawn straight from “The Arabian Nights”. A Carpet Ride to Khiva: Seven Years on the Silk Road. Goodreads 3.93. Paperback $22.95.